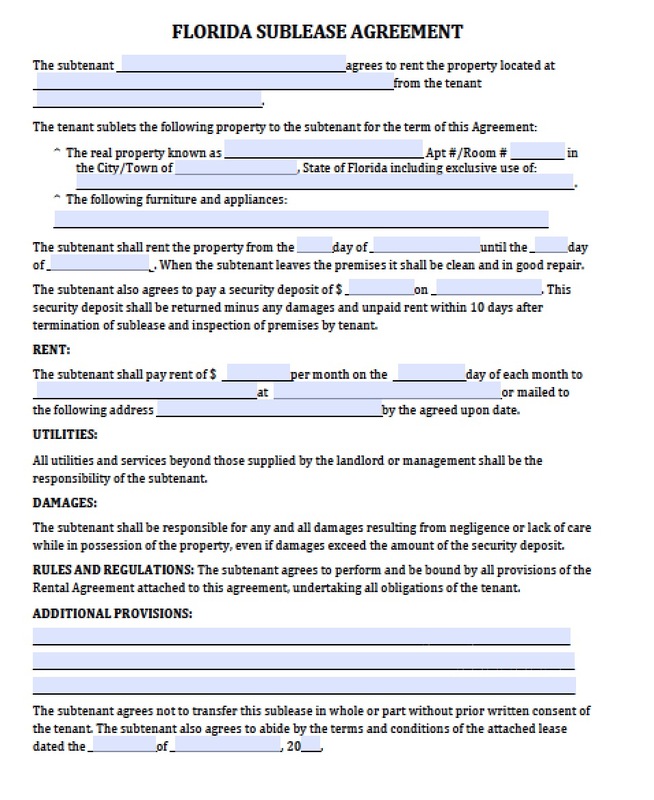 In Florida, a sub-lease agreement allows the current tenant of a property (called the “sub-lessor”), to lease out the currently rented property to another individual (called the “sub-lessee”) in exchange for monthly rent. As the sub-lessor, it is recommended that you notify your landlord of any changes in the amount of people living at the property to ensure everyone is on the same page. The sub-lesser should also make use of a tool typically reserved for landlords, which is a rental application. This allows the sub-lessor to view the sub-lessee’s criminal, rental, credit, and employment history, to aid in making the decision of allowing the sub-lessee(s) to live in the property (or not). The sub-lessor should also be aware of the fact that if the sub-lessee does not make a payment, then the sub-lesser will be financially responsible for the full monthly payment.